Learn how to earn the respect, recognition, and trust of execs and employees during this webinar with Charlie Green, co-author of The Trusted Advisor. Charles H. Green is an author, speaker and world expert on trust-based relationships and sales in complex businesses. 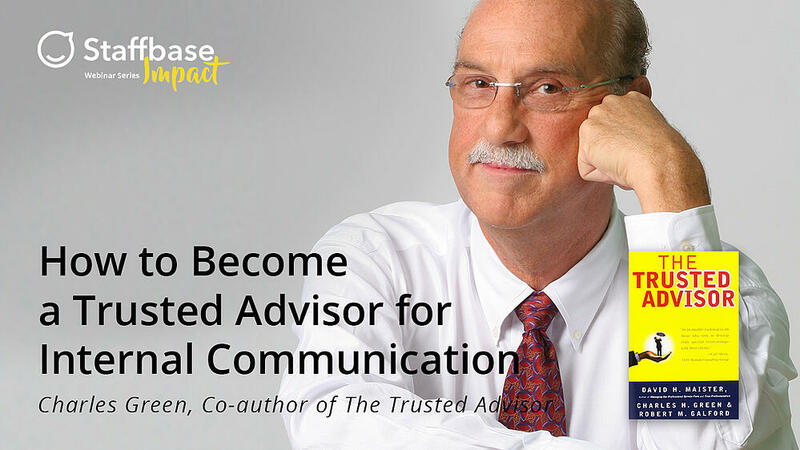 Founder and CEO of Trusted Advisor Associates, he is author of Trust-based Selling, and co-author of The Trusted Advisor and the Trusted Advisor Fieldbook. Charles works with complex organizations to improve trust in sales, within organizations, and with external clients and customers.